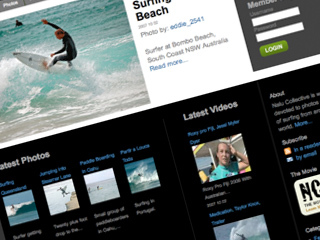 Nalu Collective is a website devoted to photographs and videos about the art of surfing from around the world. 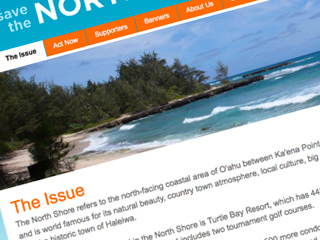 We designed and developed this site in support of the grassroots effort to prevent further development of the North Shore, Oahu. 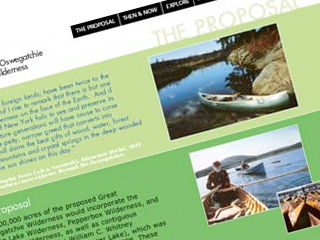 We designed and developed the website for the Oswegatchie Canoe wilderness, a protected and unique region of the Adirondacks. 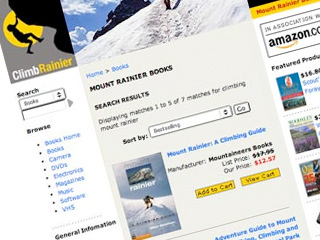 The Climb Rainier website showcases photographs and resources about Mt. Rainier, a 14,000 foot glaciated volcano. 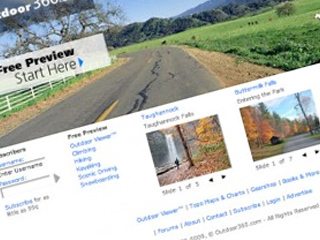 Outdoor360 was the first site to present streaming video content targeted towards outdoor enthusiasts. 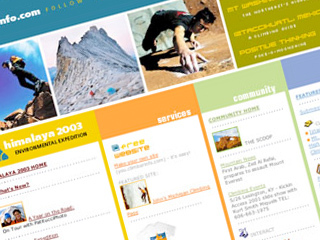 eStrategy, design and development for ClimberInfo, a nonprofit dedicated to environmental cleanups and the art of climbing.